Sony is a minor player in the smartphone space, commanding a market share of less than one per cent, with Europe and Japan its main markets. It also faces the same challenges facing the rest of the industry, including longer product refresh cycles, a perceived lack of innovation, and a lack of new markets to exploit. 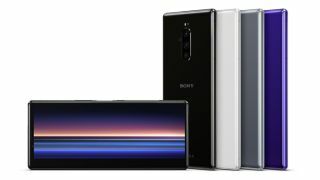 However, Sony has continued to launch flagship devices, most notably the Sony Xperia 1, which was detailed at Mobile World Congress (MWC) in Barcelona last month. The division is said to have lost £655 million in the current financial year, but the company is keen to retain the unit because of its strategic importance in the 5G era and the possible value it could add to the rest of its electronics portfolio. It is hoped the closure will help return Sony’s mobile business to profitability from 2020. The company has stated the decisions is a purely business one and it is unrelated to ongoing trade tensions between the US and China. Intense competition in the sector and rising manufacturing costs saw Samsung close its largest factory in China late last year. It has retained another facility in Huizhou, Guangdong.